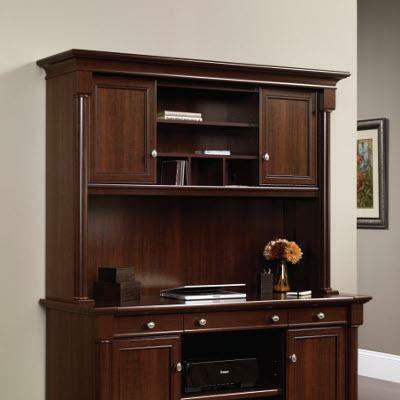 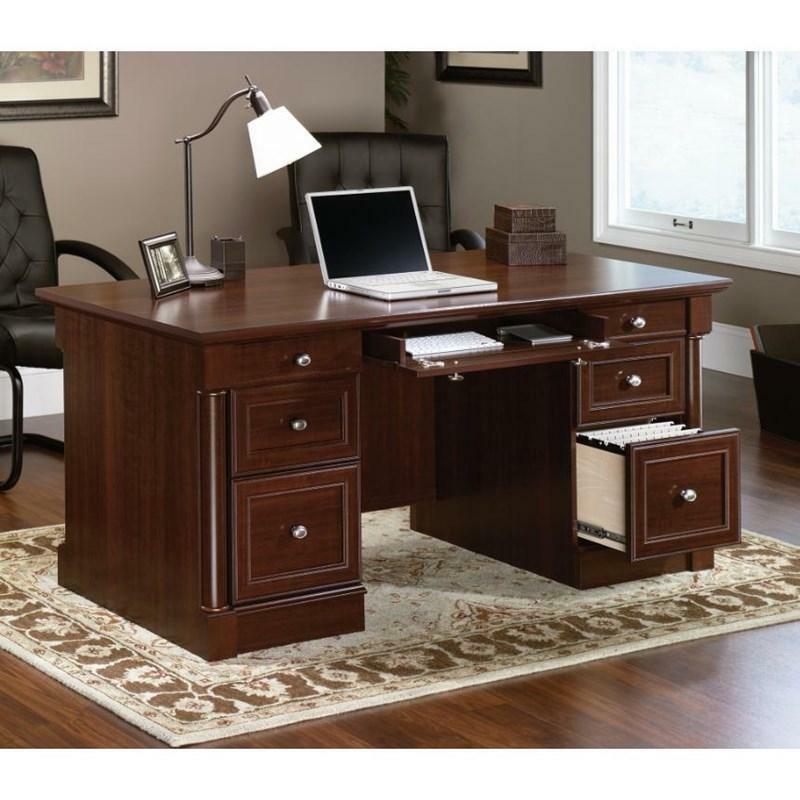 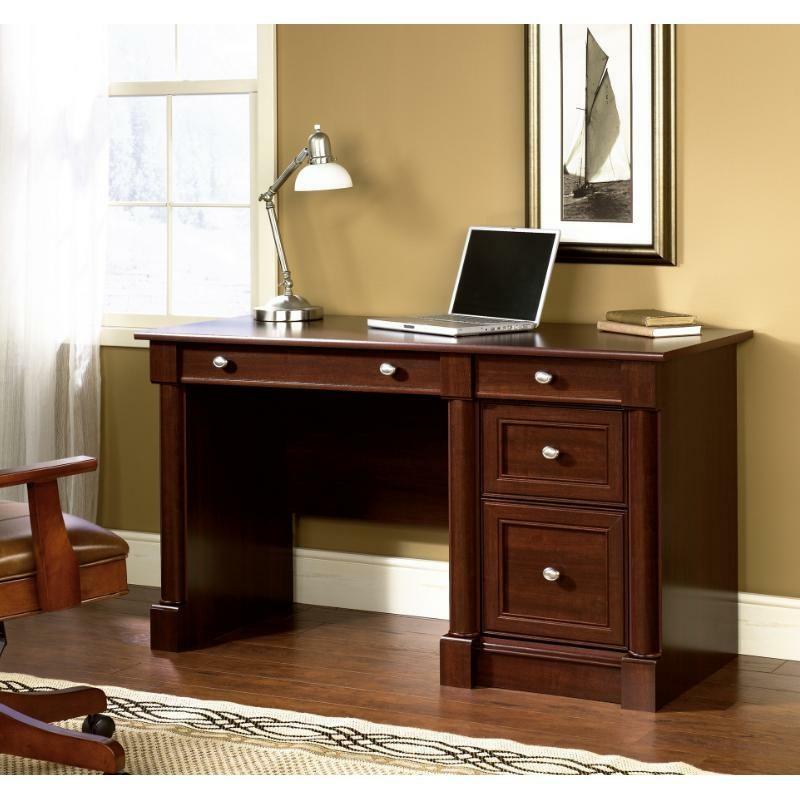 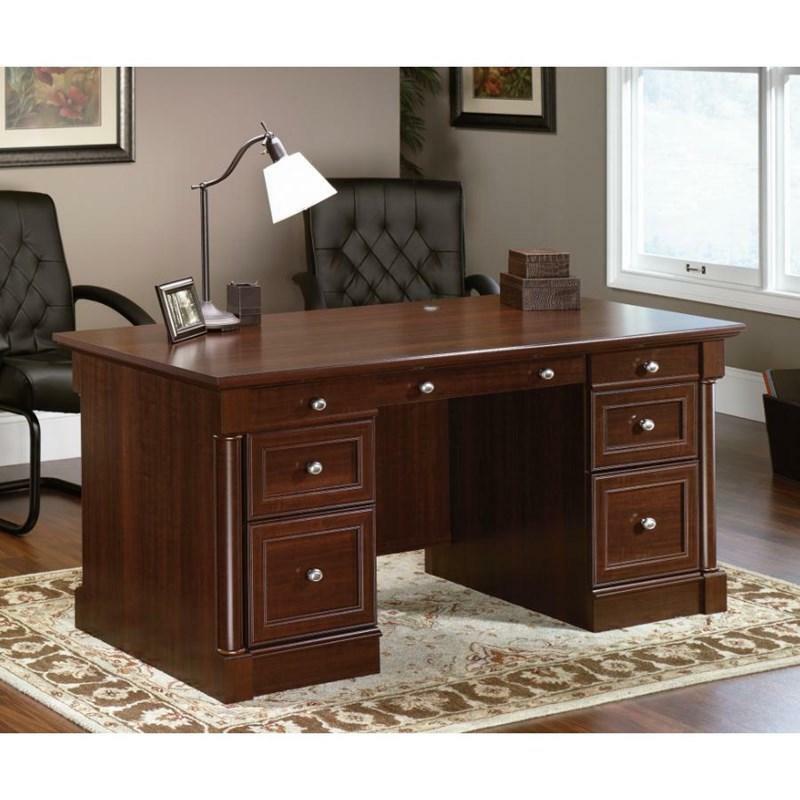 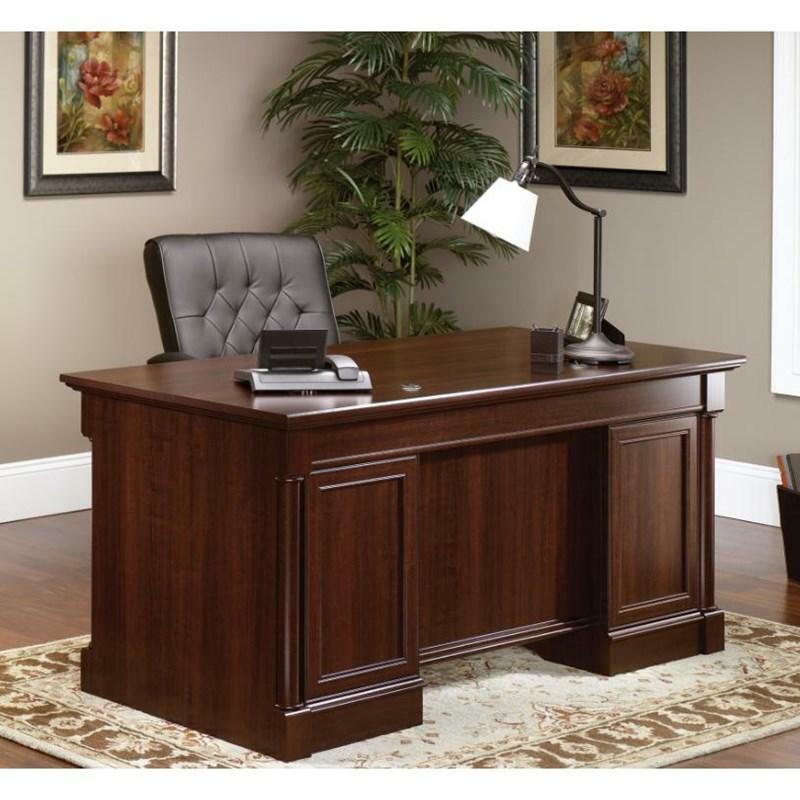 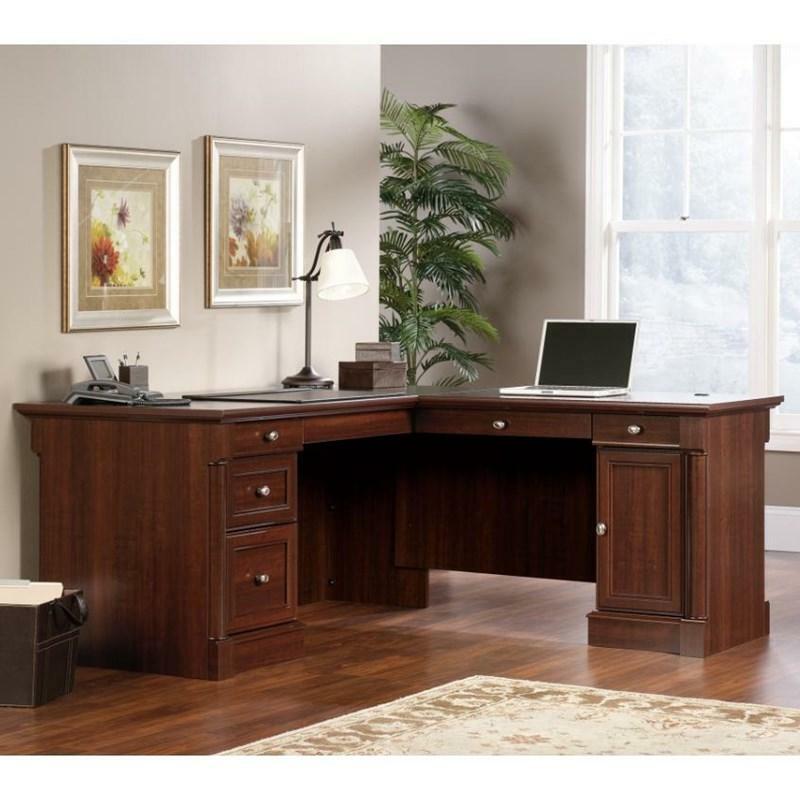 The Palladia Office Desk from Sauder features a large drawer/shelf with metal runners and safety stops with flip-down panel for keyboard/mouse or laptop. 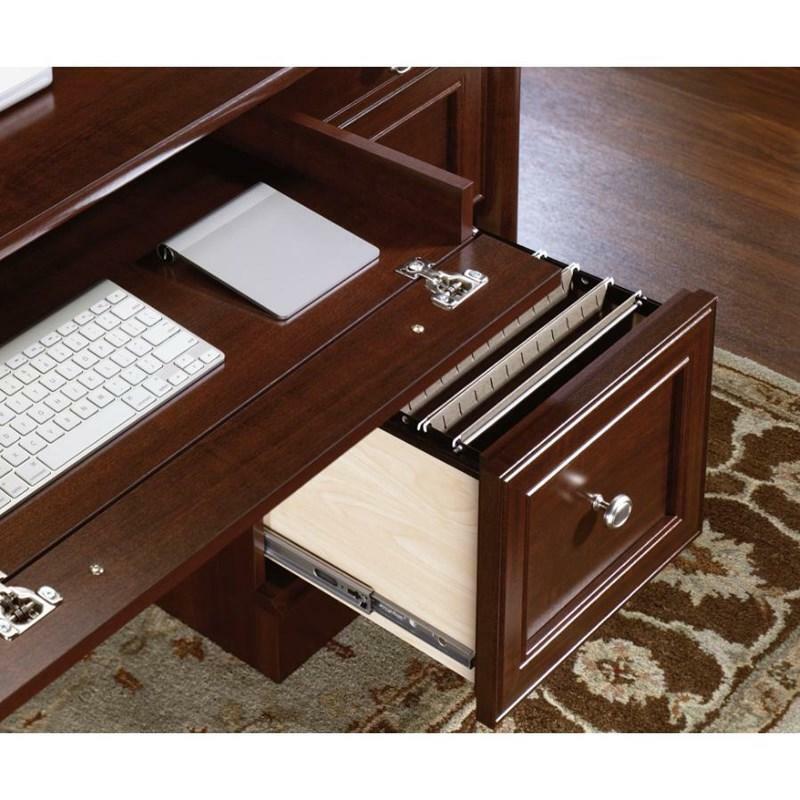 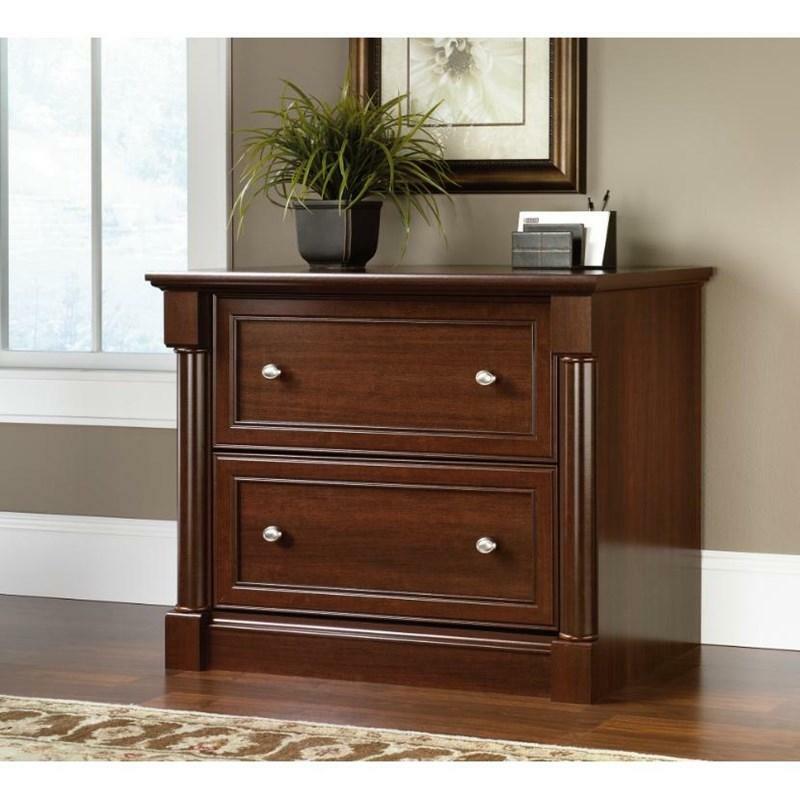 It has two pencil drawers and two storage drawers with metal runners with safety stops, a lower file drawers with full extension slides hold letter, legal or European size hanging files. 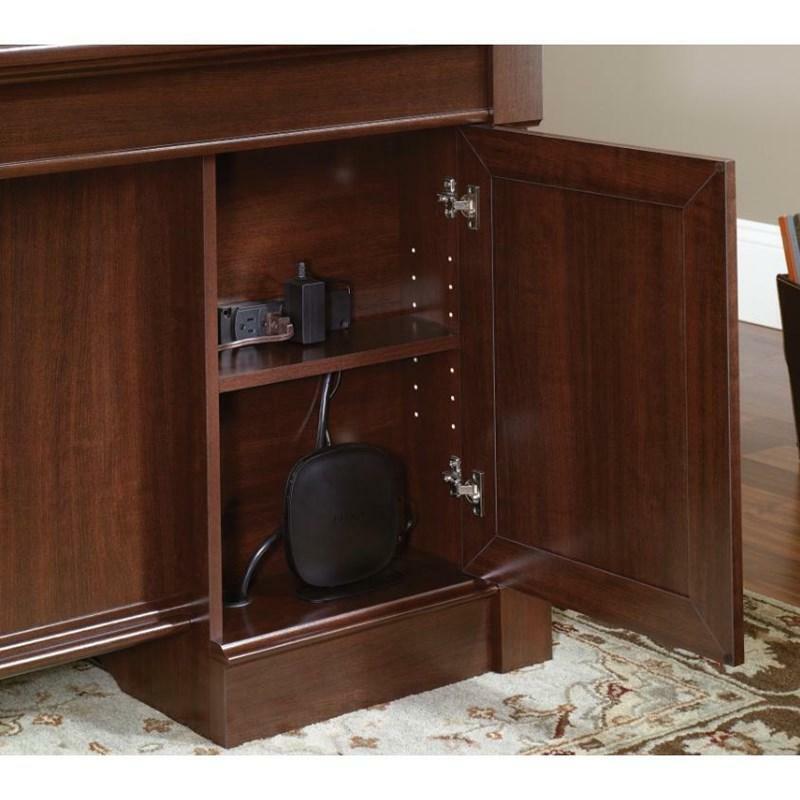 A cord management system also includes two desk top grommets, numerous pass-through, and pedestal with hinged panel for easy access.